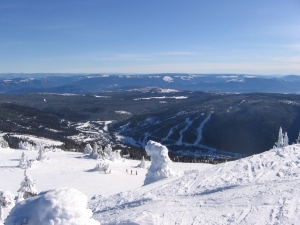 Skiing is a very popular winter sport, especially in New England. While skiing can be a lot of fun, accidents can occur. Many of the accidents are what one might consider normal skiing accidents such as falling when getting off a chairlift and breaking a bone or staining a muscle. Everyone who goes skiing should know there are risks associated with the sport. However, some skiing accidents, while they don’t occur frequently, are much more serious and can result in death of a skier. According to recent news article from the Lowell Sun, a 13-year-old boy was killed at ski resort in Massachusetts. Authorities say young victim had died when he hit a tree in what appears to be this particular ski resort’s first fatal accident in its operational history. Witnesses say he was skiing when he crashed into a wooded area between two trails. The accident occurred just after 2 p.m. and ski patrol (a ski area’s first responders) arrived on the scene within several minutes of the accident. Victim was reported to be wearing a helmet at time of collision. A spokesman for the district attorney says he skied off a slope before hitting a tree. Ski patrol personal got victim to base of the mountain where paramedics met them to transport victim to a local hospital where he was later pronounced dead. Mountain owner stated the trail victim was skiing on was a blue square (more difficult), and confirmed this was the first fatal accident since it first opened in 1964. While some accidents are simply accidents for which nobody is responsible, others could have been prevented had it not been for someone else’s negligence. Even though an activity like skiing is inherently dangerous, resort owners still have a duty to maintain their property in a reasonably safe condition. If there have been similar accidents at the same spot on the mountain for example, resort owners may have been put on notice of a potential problem. If there was a way to make the area safer such as by putting up a fence, they may be liable for future injuries. One issue you may be concerned with is the long release of liability you probably signed or “agreed” to when putting on your lift ticket or season pass. Ski resorts normally put extremely lengthy disclaimers purporting to absolve them of any and all liability even for negligence of their employees on the back of your lift ticket sticker. It may also say that by affixing this lift ticket to your clothing, you have accepted this disclaimer. However, if you or a family was injured at a ski resort in Massachusetts, you should contact a personal injury lawyer to see if you have a case despite this disclaimer. Courts in Massachusetts will look at the totality of the circumstances surrounding your alleged agreement to such a disclaimer including your opportunity to read it before agreeing to it. It should also be noted, while ski resort will not likely be liable for an accident, which occurs in the normal course of skiing, it is difficult to effectively disclaim liability for gross negligence.